The faculty development program in curriculum development is to improve the need for our faculty to learn a systematic approach to curriculum development. Longitudinal Program in Curriculum Development is to address the knowledge and skills of the six-step curriculum development process. The Clinical Hospital Innovation & Management Program (CHAMP) is a training program for hospital teams and other associated administrators to bring together expertise from schools that focus on healthcare management. 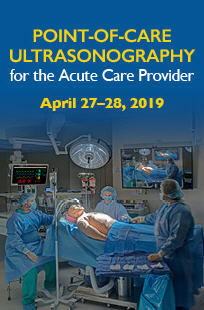 Point-of-care ultrasonography instruction of cardiac, lung, abdominal, and vascular structures. 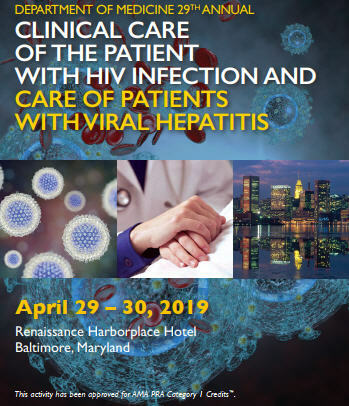 This conference addresses the need for regular, focused updates on state-of-the-art treatments of HIV and viral Hepatitis diseases, comorbid conditions, and difficult to treat populations. 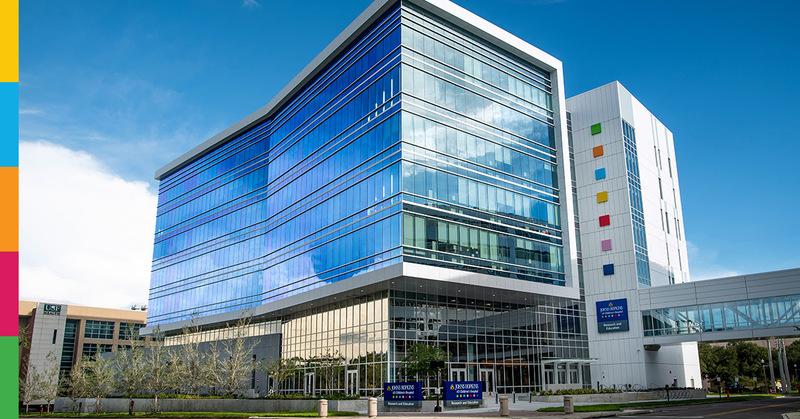 The goal of this course is to fulfill the need in the practicing pediatric community to increase and improve competence in the field of pediatric medicine and to integrate best practices based on evidence-based medicine and current research. 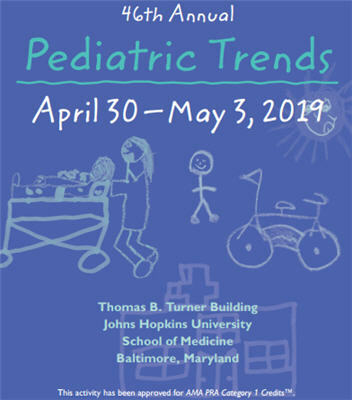 This symposium will review health care transition guidelines and standards in order to provide an annual update to improve pediatric to adult transitions. 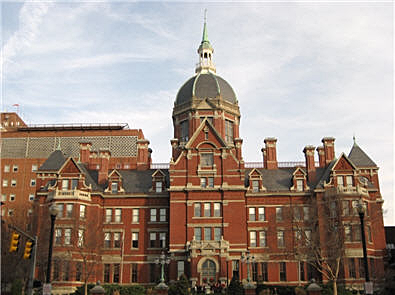 The 29th Annual Specialist Education in Extracorporeal Membrane Oxygenation (SEECMO) is designed to focus on the use of extracorporeal life support (ECMO) to support neonates, children, and adults specifically in problems such as congenital diaphragmatic hernia and end stage lung and heart failure. This course aims to address the paucity of sickle cell knowledge among healthcare providers and team members who provide care for patients with sickle cell disease by providing information and development activities to promote quality improvement in sickle cell disease care. 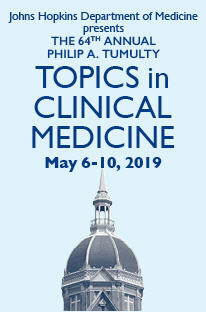 Topics in Clinical Medicine is in its 64th year of providing the best summaries of the advances in internal medicine in order to maximize the intercollegiate collaboration between faculty and other practicing providers. 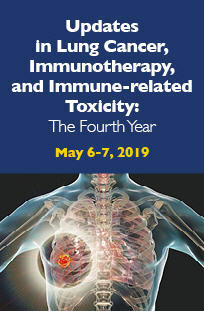 A cutting edge two day educational symposium focused on advances in lung cancer screening, diagnosis, therapies and the management of immune related toxicities. 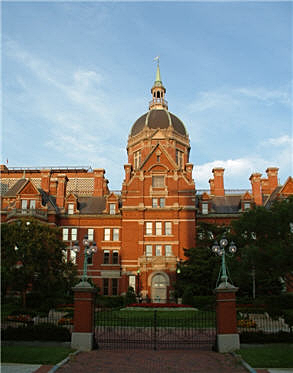 The activity is held approximately monthly at the Johns Hopkins Bayview Medical Center in Baltimore, Maryland. 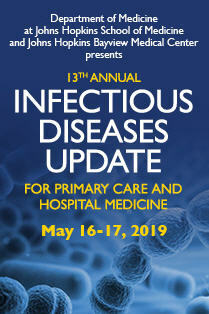 Infectious diseases is a dynamic field replete with new challenges. We continue to advance our understanding of the pathogenicity of microorganisms and host interactions as well as the use of diagnostic tools. 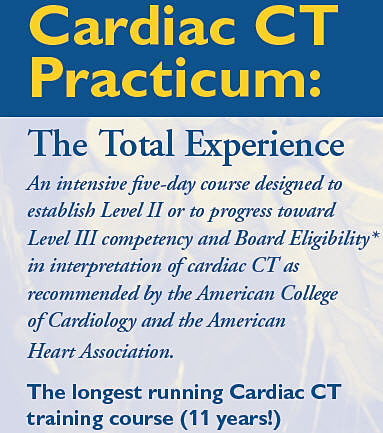 This course will review recent guidelines and clinical pathways that impact generalists. 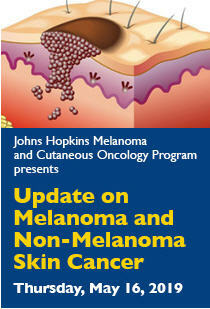 This activity aims to update physicians with new information on diagnosis and treatment of melanoma and non-melanoma skin cancer. 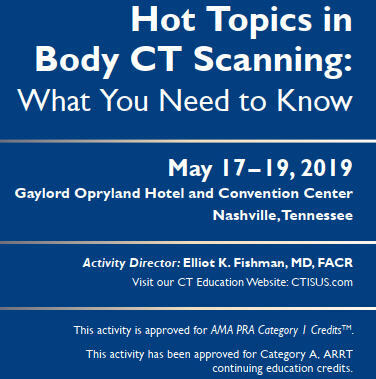 This activity will provide with an improved understanding of the role of MDCT and will help improve practice skills and knowledge base. 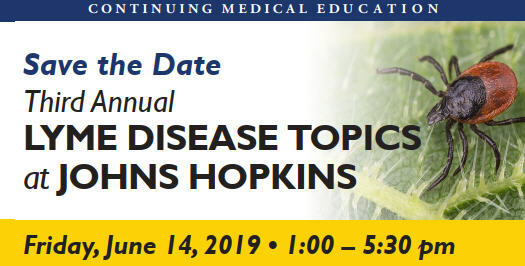 This course targets educators from all specialties and experience levels who are planning to be or are already engaged in medical education scholarship. Lyme disease is the most common vector-borne infection in North America with over 300,000 new cases of Lyme disease diagnosed every year. When diagnosed in its earliest phase the outcome of infection is generally favorable. 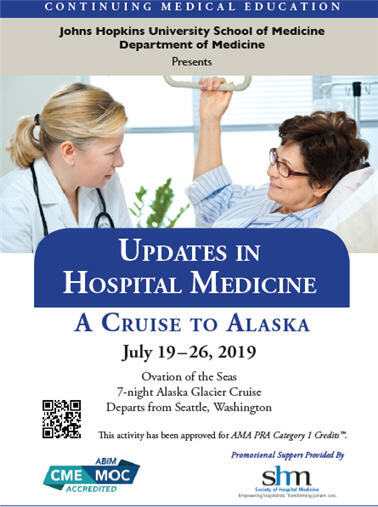 This activity is designed to provide a review of the most recent medical literature relevant to the care of hospitalized patients. 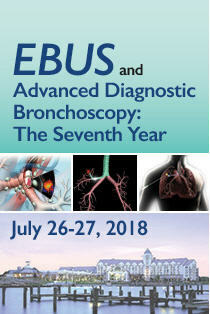 This activity is designed to educate the practicing pulmonologist and thoracic surgeon as well as other health care professionals in the teaching of endobronchial ultrasound (EBUS) and advanced bronchoscopy. 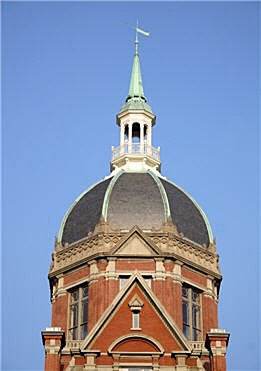 This symposium will discuss recent advances in physiological and functional MRI techniques, challenges and limitations, and their applications in basic and clinical neuroscience. This one-day seminar aims to bring together experts from the fields of rheumatology, orthopedics, sports medicine, physical medicine & rehabilitation and physical therapy to discuss evaluation and management of common MSK conditions in the primary care setting. Two day conference for healthcare professionals in the field of radiology and diagnostic imaging. This course will bridge the interdisciplinary gap from research to clinical implementation at the bedside. 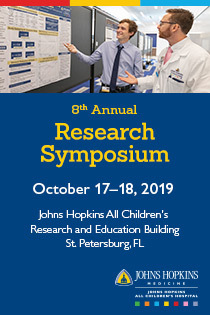 The Johns Hopkins All Children's Annual Research Symposium addresses knowledge gaps in causes and treatments of pediatric diseases, as well as determinants of childhood health, by inviting national/international experts in pediatrics and pediatric subspecialties to discuss current guidelines, practice standards, and key findings from recent clinical and basic science research. 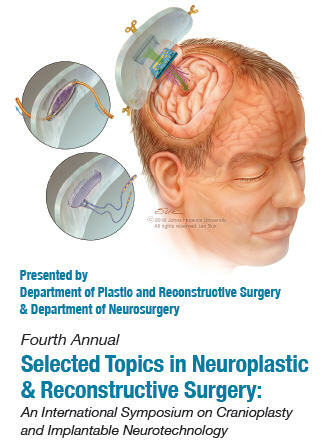 A 2-day activity, featuring a hands-on lab, providing an in-depth review of the new specialty of Neuroplastic Surgery. Cutting edge therapeutic endoscopic updates provided through didactic, case-based, hands-on and skill-based training with simulation, including live endoscopy and small group symposia, covering luminal, pancreaticobiliary and bariatric endoscopy, from superstar national and international faculty.